Corin Lindsley is the Managing Partner of the New York office of Engle, Lindsley & Regan. 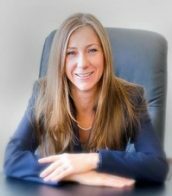 She has been working in the area of legal recruitment for almost two decades, having placed partner groups, general counsels, in-house teams, lateral partners as well as associates at the top law firms and corporations both nationally and internationally. She offers exclusive arrangements to both clients and candidates in a boutique setting that can cater to the personal approach necessary in search. Corin has spoken at some of the most prestigious law schools in the country including Yale, Columbia and Stanford Law. She has been a guest speaker and panelist on various legal employment topics at events sponsored by NALP, Vault and the NYC Junior League. Prior to search Corin practiced at a mid-sized NY based firm in the area of white collar and securities litigation. She currently works in various practice area disciplines including corporate, litigation, real estate, antitrust, labor & employment and tax.